Animal Couriers UK and Europe provides a comprehensive and professional transport and shipping service to a wide range of animal owners — moving home or overseas. 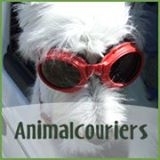 Animal Couriers can transport your pets and animals anyhwere in the Uk and to and from mainland Europe. Other services include Pet Passports, quarantine and boarding.